Retired after 27 years in Law Enforcement, Michael Carlino started his career as an undercover detective and elevated to the rank of Deputy Chief of Detectives with the Bergen County New Jersey Prosecutors Office. During the span of his career, he gained extensive training and first hand experience in all aspects of investigations and security. He was responsible for and supervised thousands of sensitive investigations, including homicides and death investigations, as well as Cyber Crimes, Robbery, Assaults, Fugitive Investigations, Parental Abductions, Kidnappings, Frauds and Identity Thefts, Forensic Audits and Anti Money Laundering Investigations, which resulted in the prosecution of the individuals responsible for the acts. He has also coordinated security and conducted threat assessments for high profile investigations and dignitaries. He was responsible for investigating and supervising investigations against government officials, celebrities and sport figures who were the victims of crimes including stalking, security breaches, murders and fraud. 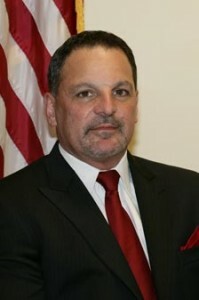 After retiring from a successful career in 2005, he formed CCI Investigations, LLC (“CCI”), and has made his vast knowledge of investigations and security available to celebrities, professional athletes, corporate businesses, banks and financial centers, credit card institutions, insurance companies as well as private citizens and attorneys who find themselves in need of professional, experienced investigators and security personnel (armed and unarmed, discreet, uniformed or plainclothes) with a high degree of honesty, integrity, fairness and professionalism. CCI utilizes the most current methods, equipment and data base searches available to the industry. CCI is able to retrieve vital electronic information from computers, cell phones and other electronics. This ability and technology aids in the investigations conducted by the staff at CCI. The cyber detectives on staff are experts in the retrieval of such data as well as being experts in cyber security, holding certifications in cyber investigations and security. Their expertise has produced the successful security of sensitive business information and maintained the integrity of corporate web pages as well as aiding in investigations gathering hidden information which has been crucial in the successful outcome of many of our investigations. Their computer savvy combined with the experience and skill of the other investigative team members are the ingredients of the success of CCI. The team assembled by Michael Carlino is comprised of retired high level law enforcement officials from local, county, state, and federal law enforcement agencies who are seasoned and successful detectives, each having their own expertise, enabling Michael Carlino to provide a wide range of security and investigative services. The well honed, hand picked team has world wide law enforcement liaison contacts which enables them to travel where needed to effectively complete each mission. CCI is pleased to be able to furnish the general public its expertise and experience as trained career law enforcement detectives with high standards of pride, integrity, honesty and professionalism.